Hand made & hand finished luxury truffles, with a creamy caramel centre, coated in the finest smoothest milk chocolate and finally lightly dusted in 100% cocoa powder! A real treat and absolutely delicious! 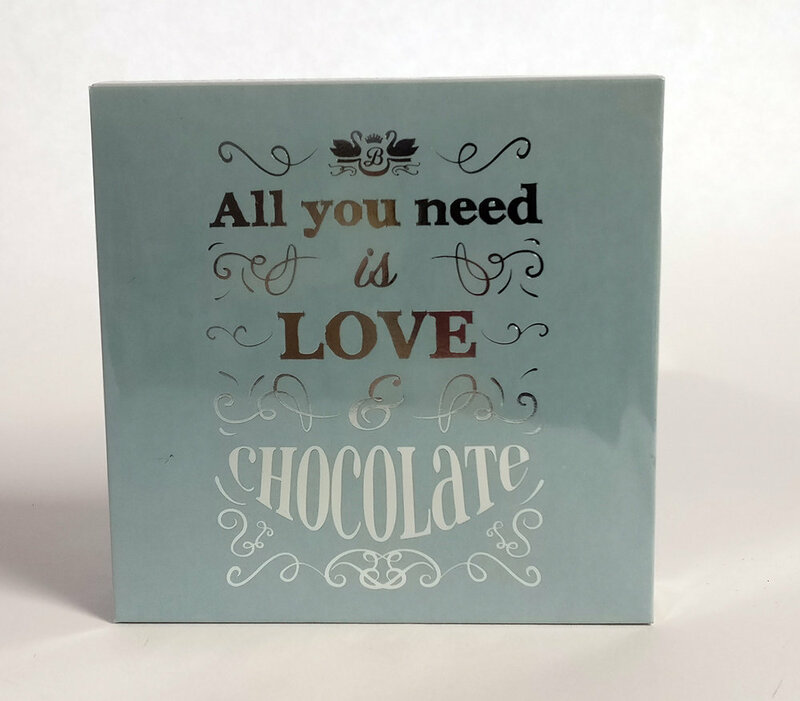 The silver foil embossed message on the front of the box reads "All you need is Love & Chocolate" and makes the perfect gift for all occasions.